Welcome to Lisbon, the gorgeous city built on seven hills! There are many ways I could describe Lisbon. It’s bohemian, yet it screams romanticism all over. It’s lively and spirited in nature, yet life seems to go calm and undisturbed. 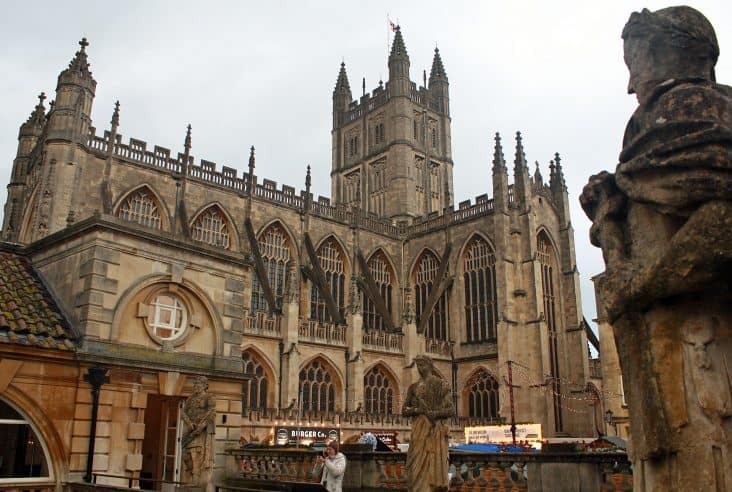 It’s Baroque, Gothic, Romanesque…all at once! There’s always something spectacular to marvel at in Lisbon and its magic and charm seem to have persisted throughout the years. Every corner, colourful building and cobbled street hide unpredictable surprises. I’d be lying if I said that Lisbon isn’t one of my favourite dots on the map! Lisbon’s beauty is undeniable. The air is vibrant, colourful and warm but also fresh at the same time. Nestled next to the city, the River Tagus flows slowly and brings a much needed breeze in summer. Labyrinthine cobbled streets and hilly alleys define Lisbon’s uneven layout, a design that dates back to its Moorish roots. Here, in Alfama, lies the heart and oldest soul of Lisbon, with the Castelo de São Jorge dominating the hill. The irregular outline gives way to Lisbon’s lower district, Baixa, and its largest square – Praça do Comércio. 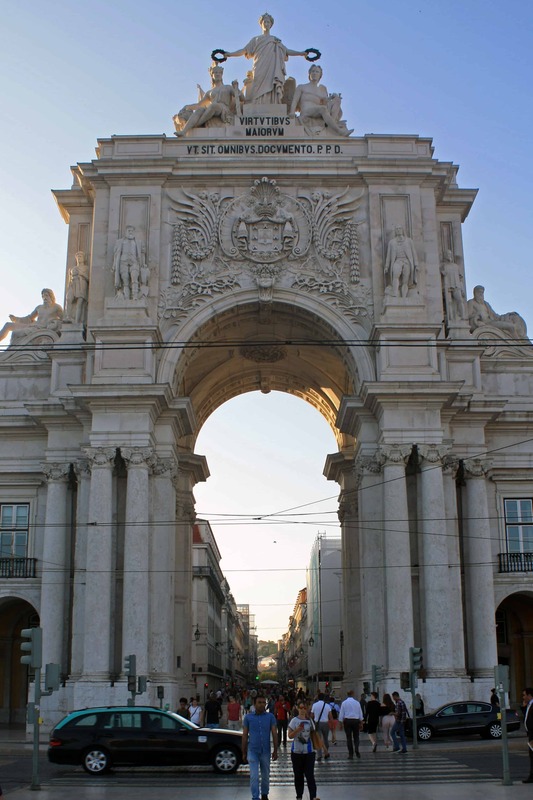 The Rua Augusta Arch was considered the main gate of the city to the many ships and merchants unloading their foreign goods. Traders and explorers also parted from the Belém quarter, famous for the Mosteiro dos Jerónimos, Torre de Belém and my absolute favourite Pastéis de Belém or Pastéis de Nata (aka best custard tarts ever)! Halfway through Alfama and Baixa stands Lisbon Cathedral (or simply Sé de Lisboa). There is something evocative and romantic about this 12th century landmark. 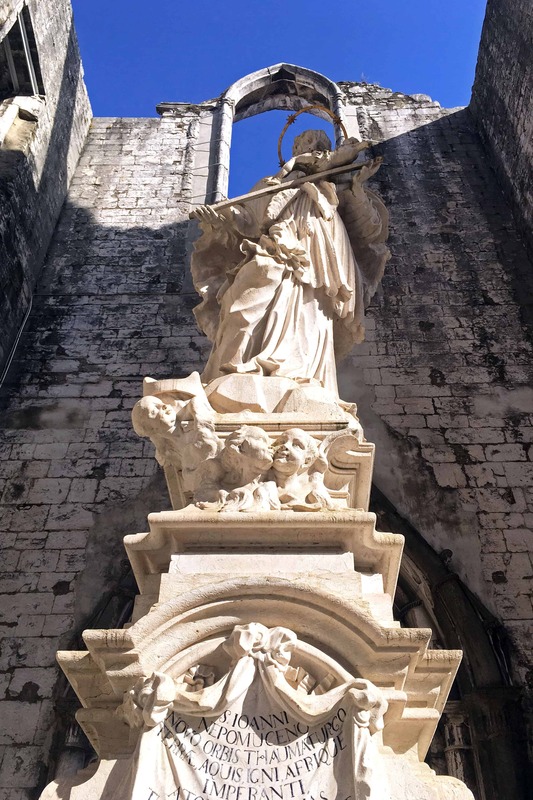 The sense of rich history surrounds every corner of the old heritage structure, which unlike many of Lisbon’s buildings, survived the disastrous earthquake of 1755. Unfortunately, the Carmo Convent didn’t share the same luck. 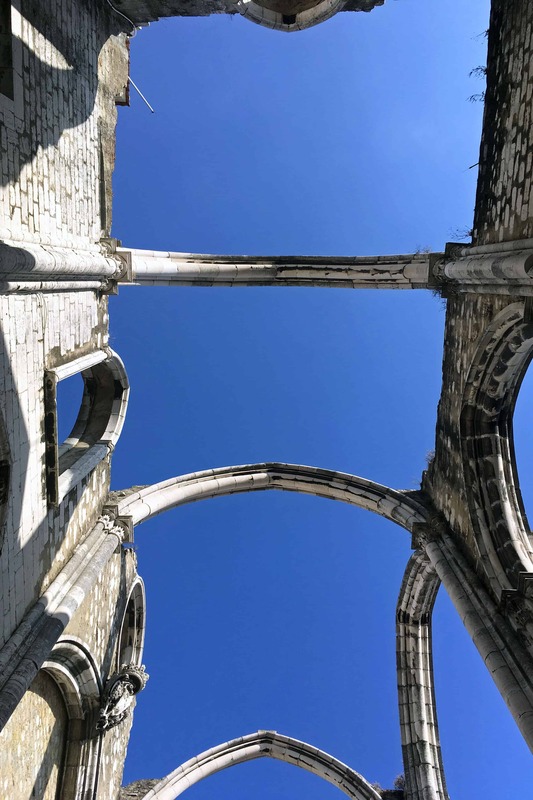 The ruins of the old parish can still be seen in the old part of Chiado, Lisbon’s most bohemian and trendy neighbourhood. The “Montmartre” of Lisbon was the place of choice for the elite literature intellectuals at the time. And no wonder, it has some of the best museums, theatres, cafés, restaurants and landmarks (Elevador de Santa Justa, Rossio Square). The avant-garde Chiado is easily my favourite part of Lisbon! 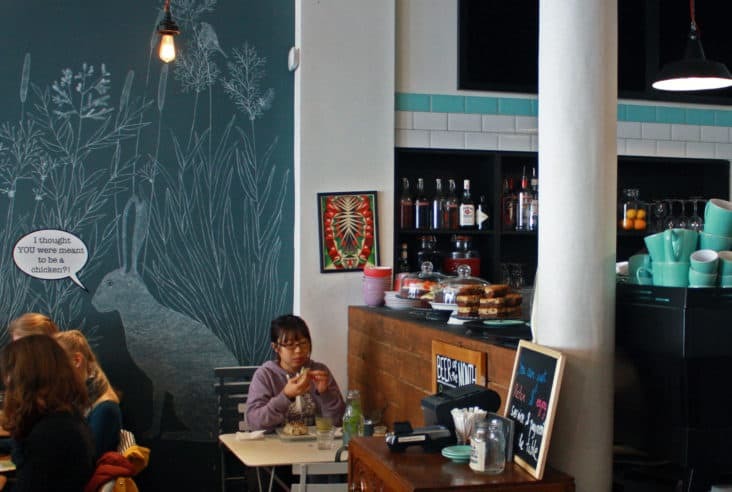 The funky and cool Bairro Alto (high district) is well known for its endless bars and restaurants. A traditional quarter during the day, it is almost unrecognisable at night when it becomes one of the best nightlife spots in Lisbon. 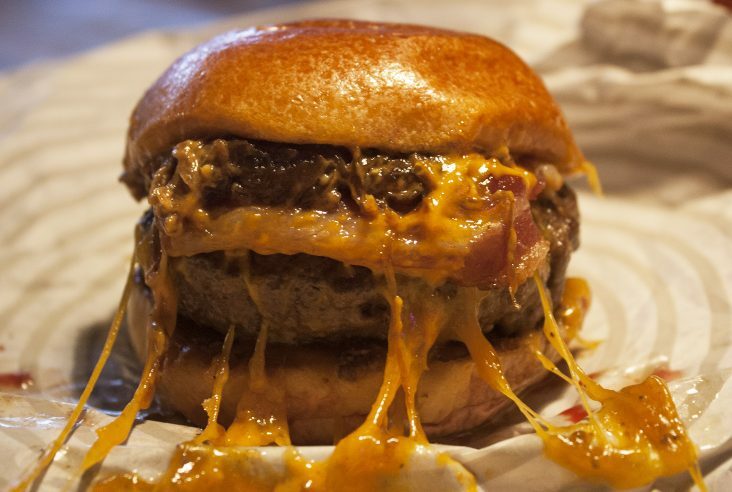 Get ready for alternative spots, affordable drinks and street parties! Although built in the 11th century, the first settlements date back to the 7th century B.C., making it Lisbon’s oldest building. The ruins, which are still preserved in the Archaeological Site inside the castle, were erected as a protection against the Romans. With the Christian Reconquest of Dom Afonso Henriques and the fall of the Moorish legions, the Castelo de São Jorge became the new Royal Residence. 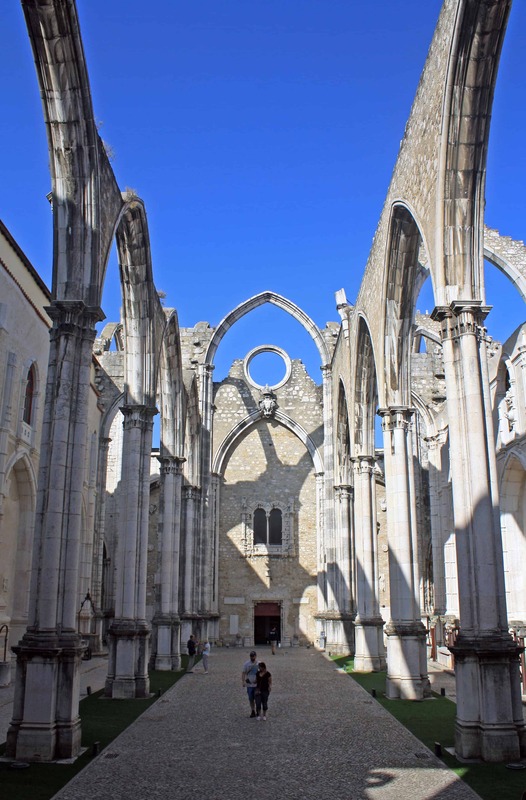 After Lisbon’s earthquake in 1755, many of the structures were destroyed. However, remains of the old Royal Palace of the Alcáçova (where the Moorish elite lived) and the Moors residential area while building the castle are still visible inside. The castle became home to military installations in the 18th century until it was opened to the public in the early 1900s. Now, this magnificent building welcomes tourists from all over the world through the daily open doors. With average ticket prices ranging the 8,50€ per adult, you can see the above mentioned ruins and the Permanent Exhibition of the items recovered from the site. Don’t forget to check out the peacocks wandering around and the Camera Obscura – a mirror room offering 360 degrees views of the city! This is a must for everyone that wants to experience Lisbon’s most fascinating ride! As part of my Ultimate Travel Bucket List, I couldn’t miss the opportunity to jump on the vintage wooden trams! 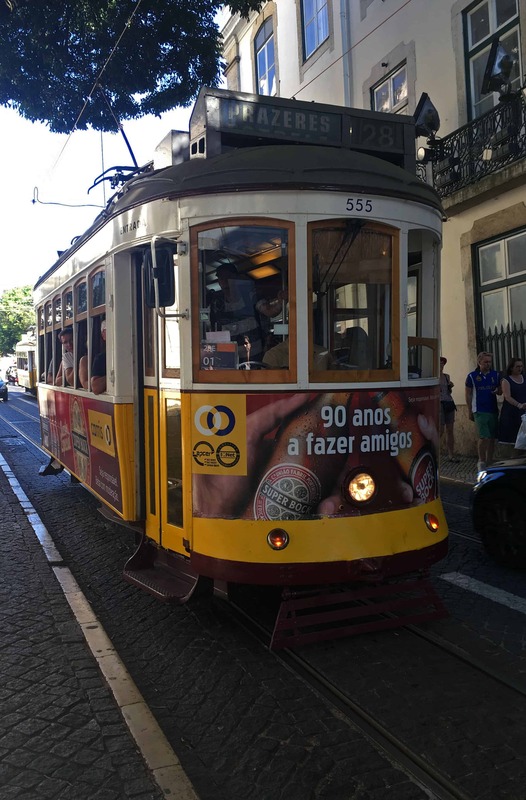 With a 10km ride that goes from Martim Moniz (Bairro Alto) up to Campo Ourique (Prazeres) and vice-versa, the popular tram offers a bumpy ride along the most emblematic of routes. 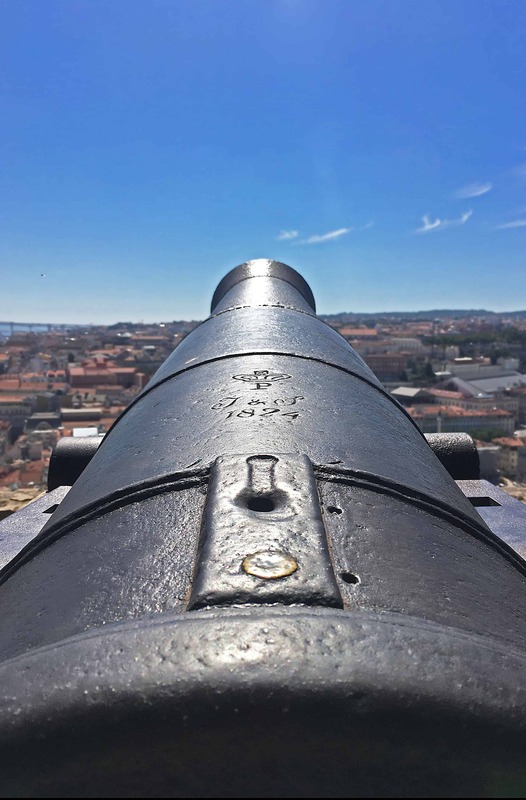 Get ready to cross through Lisbon’s main neighbourhoods and pass by its most iconic landmarks, including Libson Cathedral (Sé) and Castelo de São Jorge. Then you HAVE to check the Elevador de Santa Justa. This Eiffel-inspired lift was made by Raoul Mesnier du Ponsard, an apprentice of Gustave Eiffel himself. 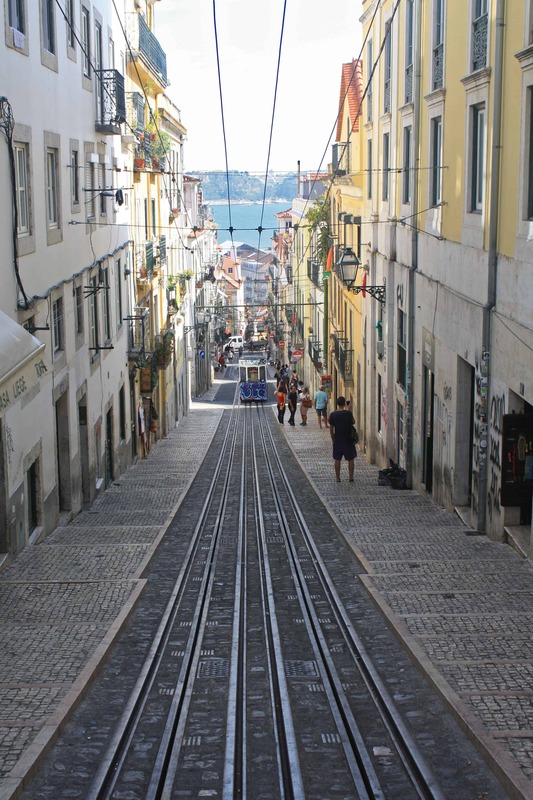 Opened on 10th July 1902 and initially called Elevador do Carmo, it was used to get from Baixa (lower quarter) to Bairro Alto (higher neighbourhood). 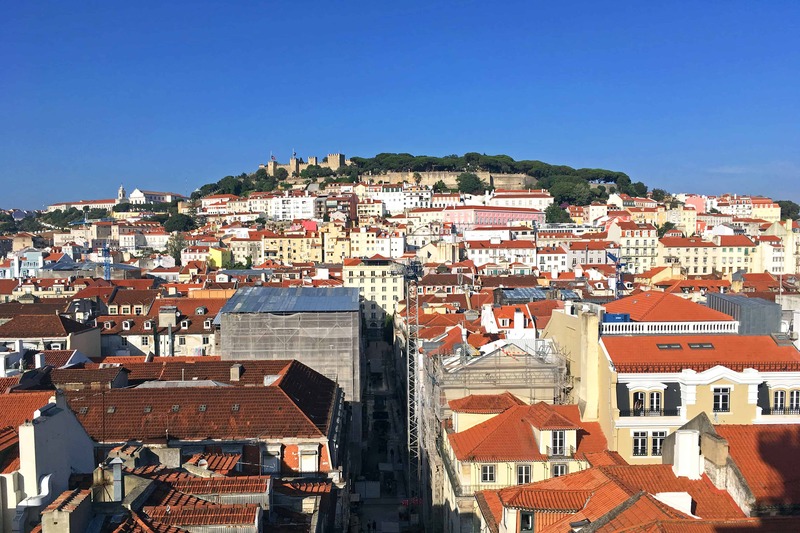 It was indeed a breakthrough that linked different levels of the city, but also offered incredible panoramic rooftop views of Chiado and the whole of Lisbon. 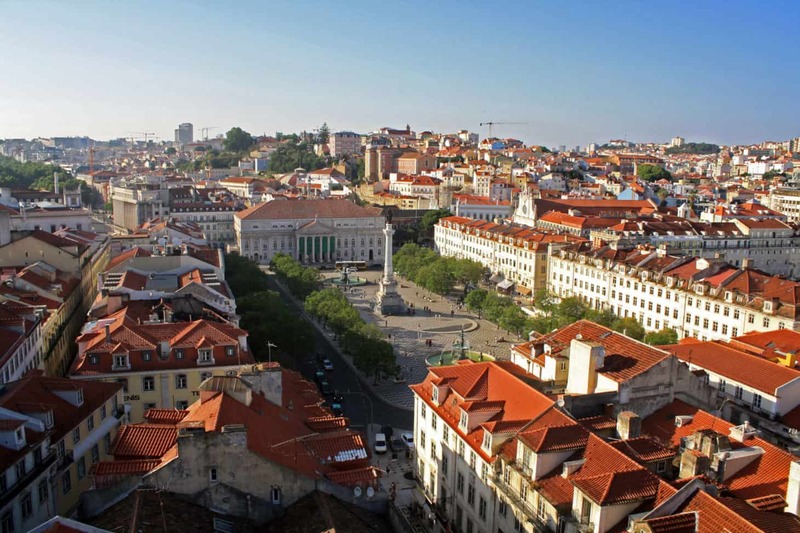 Standing at 45m heigh, the open air platform is directly overlooking Rossio Square. Check out the Column of Pedro IV, King of Portugal, the National Theatre Maria II and Café Nicola, a 18th century coffee house that was frequented by literature experts (such as poet Manuel Maria Barbosa du Bocage). Want EVEN MORE spectacular views? This one is hard to miss. Beautifully painted tile mosaics cover the vast majority of Lisbon’s buildings, making it the place that rocks the most amount of tiles in the world! From houses to train stations and museums, or even churches, both interiors and façades become the canvas of the most incredible ceramic tile art that I have ever seen. 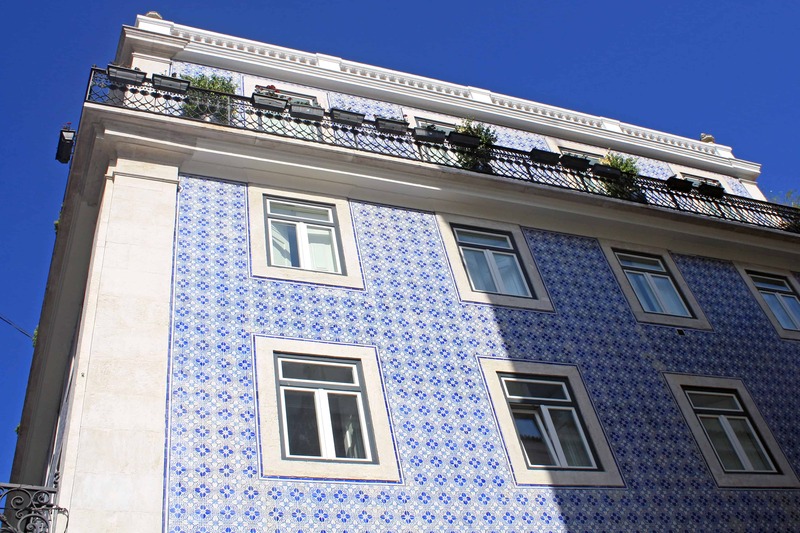 Check out the Museu Nacional do Azulejo, where you can learn more about the Portuguese fascination with adopting this affordable material as a way of decoration back in the 15th century. Another one of Portugal’s wonders is Fado – a combination of popular Portuguese songs of a melancholic character. Accompanied by a viola, a Spanish and a Portuguese guitar they tell stories full of nostalgia, sadness and sorrow. The origins of Fado date back to 19th century Lisbon, in the district of Mouraria. 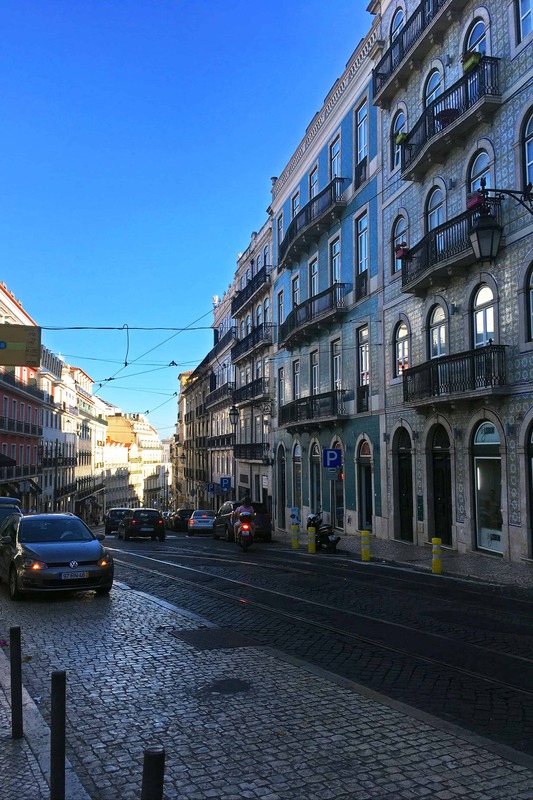 Now, Bairro Alto and Alfama are perhaps the best neighbourhoods to listen to this genre – with Povo being our favourite and one of the best places to experience Fado. Now, it is well known that I am an absolute lover of Portuguese food. 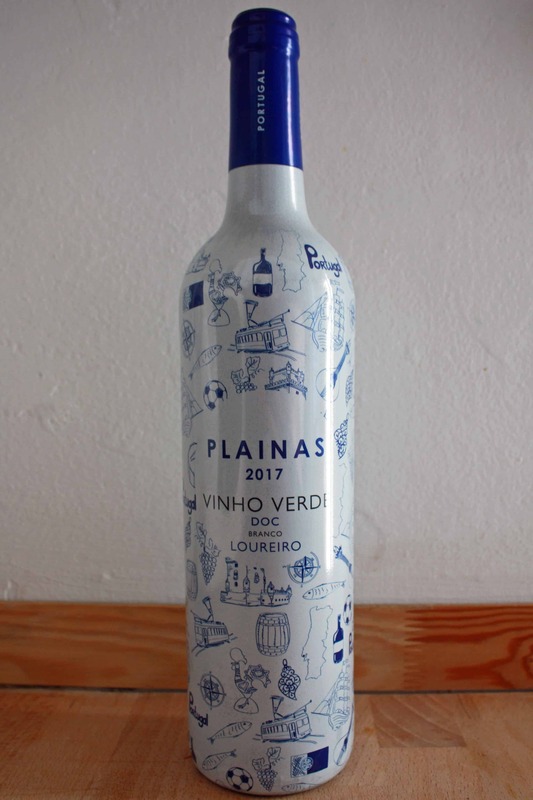 Their cuisine includes a whole range of delicacies: from fresh seafood (Bacalhau or cod, Portugal’s national dish), to wine (with Vinho Verde being my favourite) to the most delicious custard tarts ever! Pastéis de Nata or Pastéis de Belém, I must have had about ten of those. I am not joking, they re absolutely incredible! 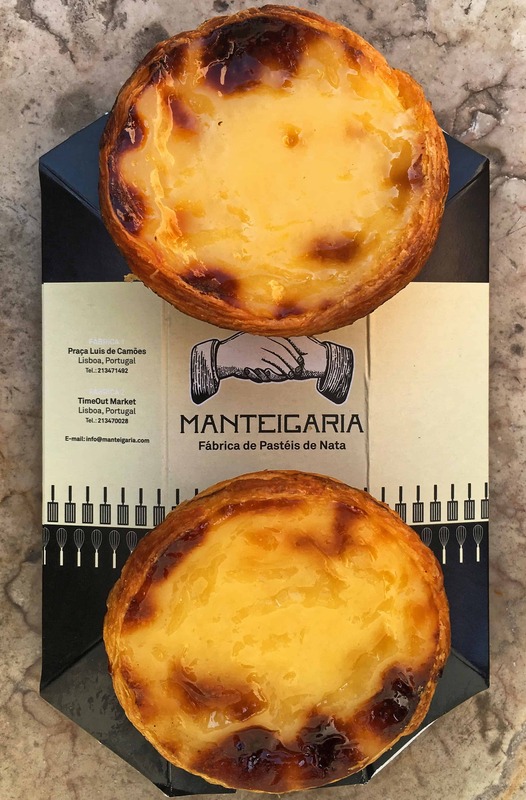 Make sure you pay a visit to Manteigaria which, although not located in Belém but actually in Chiado (and the TimeOut Lisbon Market), are said to be the best Pastéis in Portugal! I only wish I could capture their delicious smell on this blog! A wonderful way to get to know more of Portugal is taking a day off to visit the fishing village of Cascais. Travelling from Lisbon to Caiscais by train is actually fairly easy. Head over to Cais do Sodré Station for a 30min picturesque and relaxing journey along the coast. You will soon see the resort’s spectacular sandy beaches and marine scenery. Along the promenade, a multitude of shops, bars and restaurants serving fresh seafood welcome the thousands of tourists that visit Cascais every year. It was the royal holiday destination of choice after all! 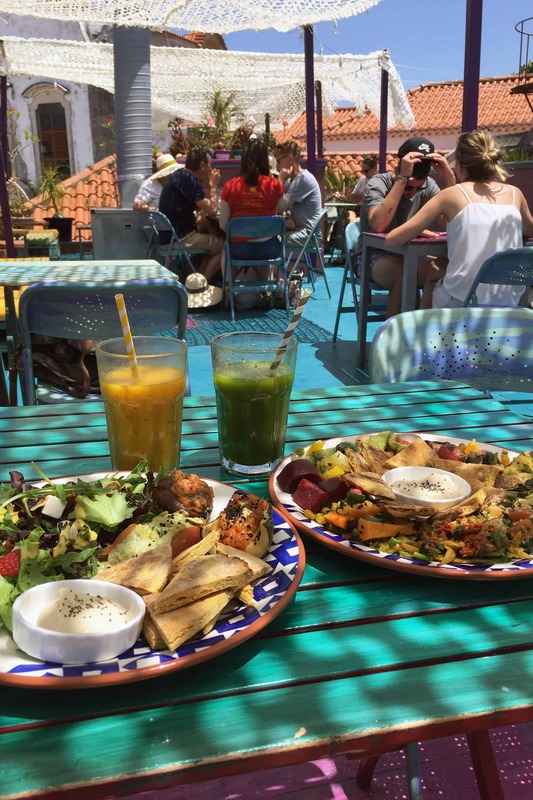 For those looking for a healthy option after overindulging on Pastéis, don’t miss the amazing Café Galeria House of Wonders. With a bohemian interior, colourful frooftop with magnificent views of Cascais and, of course, fresh options in the menu, it has the perfect relaxing vibe. Although we may not have had enough time to visit, had we stayed longer I can promise you that’s what we would’ve done! Go north to the Serra Mountains to see Portugal’s real life fairytale. 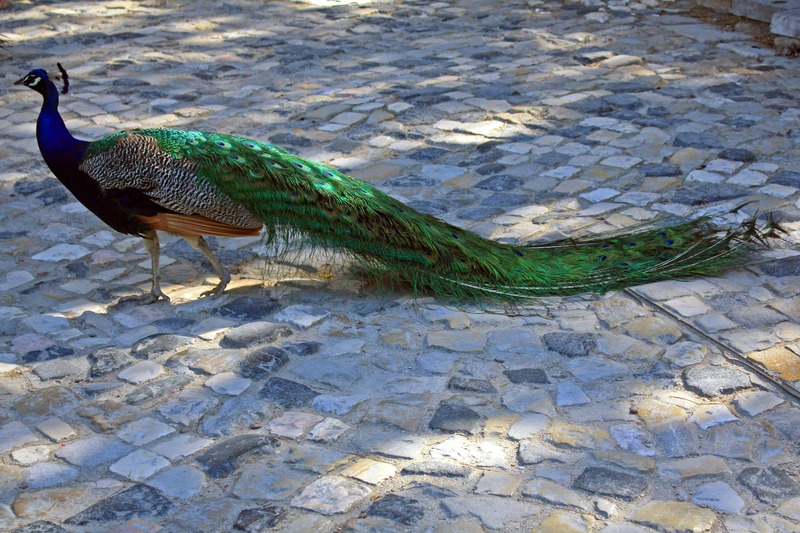 Exotic Moorish palaces, green gardens and gorgeous rocky landscape define Sintra. The vibrant yellow, orange and red buildings are dotted along the city, with the Pena Palace, the most eye-catching of all, overlooking from the top of a hill. What do you think of our itinerary? 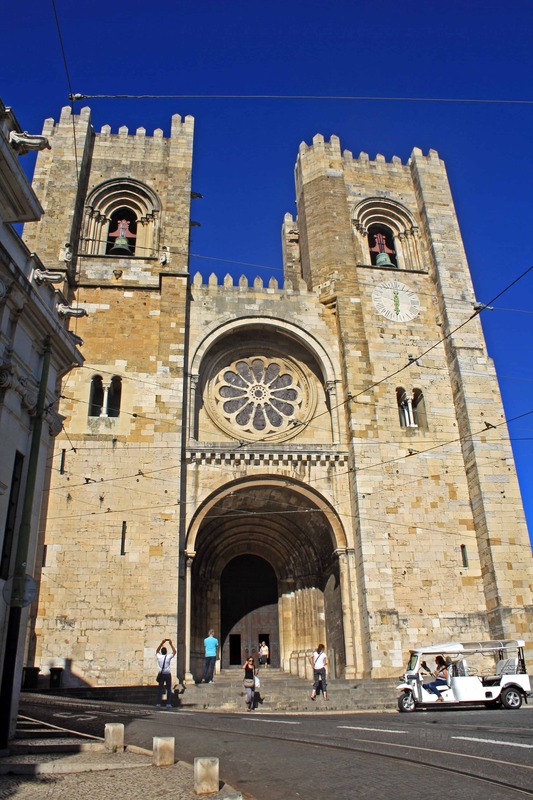 Have you been to Lisbon before? What do you like most about it? Is there anything else that would make your top 10 things to do in Lisbon? Let us know in the comments below! Thank you, Kate! 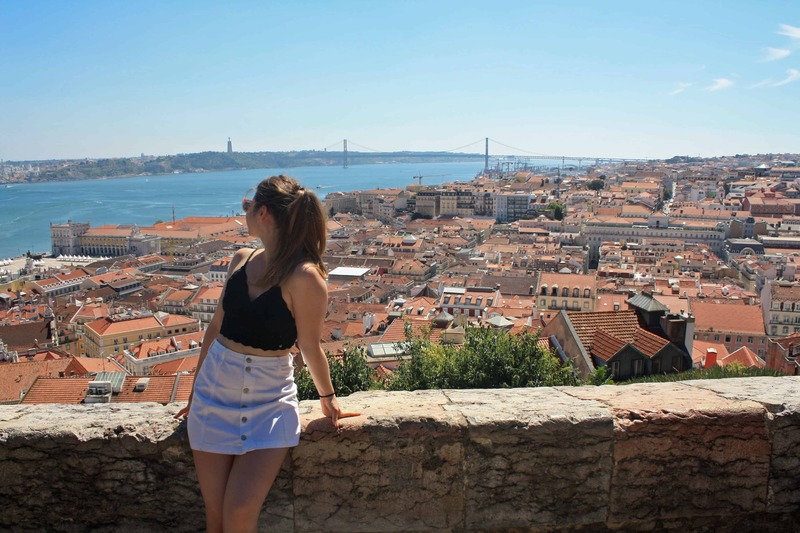 Let me know your thoughts on Lisbon once you visit, although I am sure you will love it! 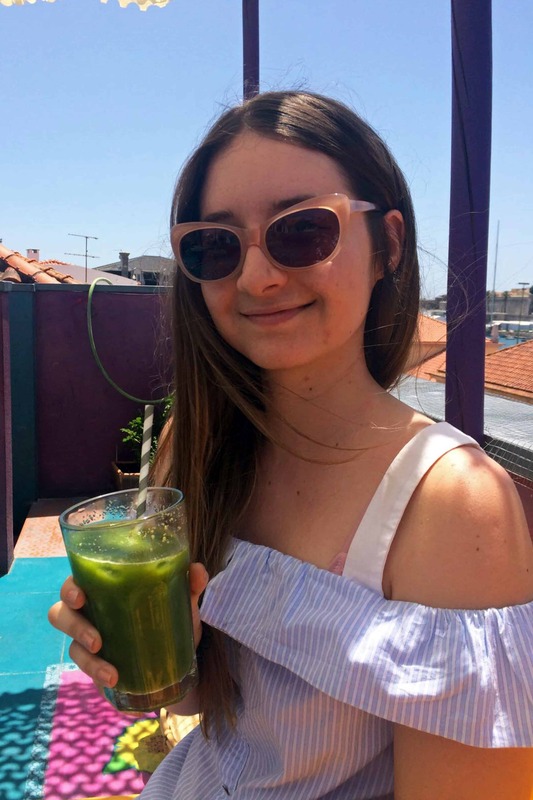 An insightful read with lovely pictures! I’ve never been to Portugal and don’t really know anything about Lisbon but your pictures have definitely made me want to visit! It looks like such a beautiful city and some of that architecture is stunning! I’ll come back to this post if I’m ever lucky enough to visit there! Love this post! Sunsets, Azulejos and pasteis de nata from Manteigairia were my favourite things! 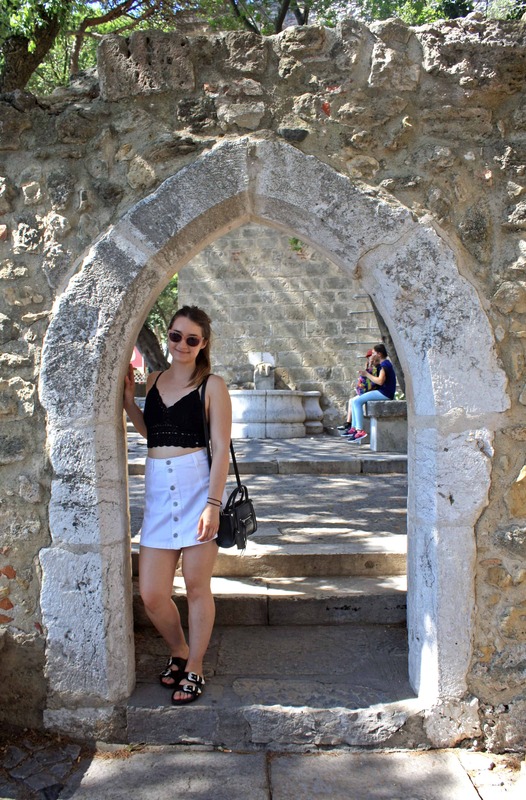 I would love to go back to Lisbon! I wish you could capture the delicious smell, too. Thanks for this great guide!